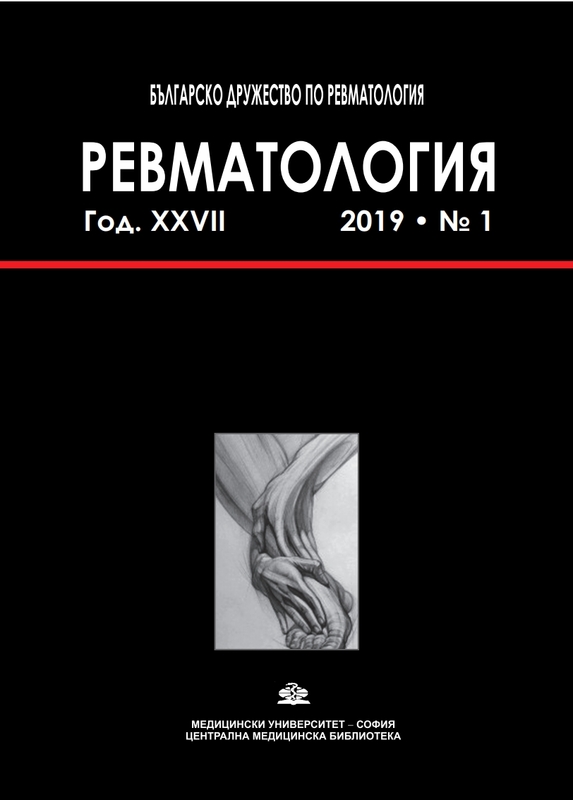 Revmatologiia/Rheumatology (Bulgaria) is the platinum open-access peer-reviewed journal owned by the Bulgarian Rheumatology Society and published by Central Medical Library of Medical University - Sofia. Its prime focus is on the evaluation and management of rheumatic diseases. 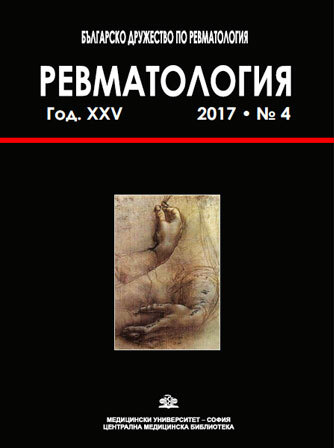 Revmatologiia/Rheumatology features original research articles, reviews, clinical case reports, and editorial commentaries. 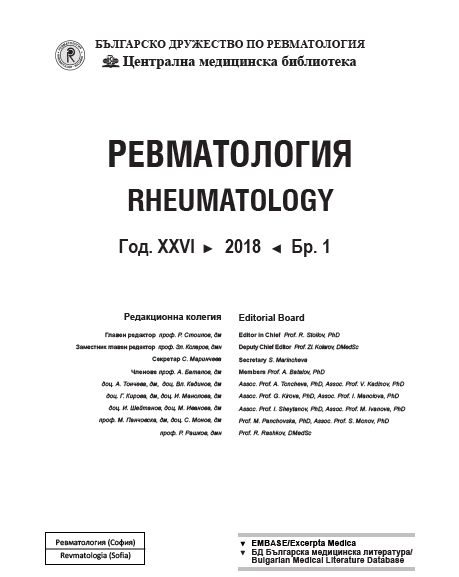 Guidelines unique to Bulgarian Rheumatology will also be published. Please, follow the Instructions for Authors. 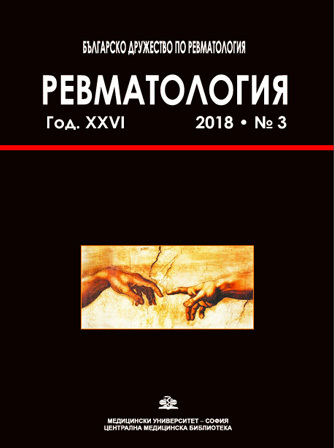 The acceptance criteria for all papers are the quality and originality of the research and its significance to our readership. Except where otherwise stated, manuscripts are peer reviewed by two anonymous reviewers and the Editor. 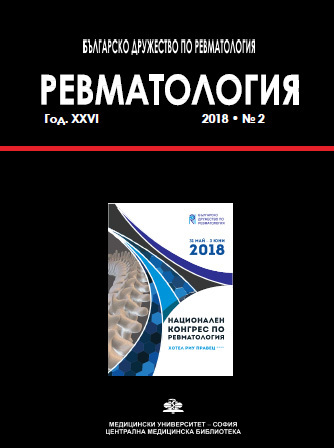 Yano K., Egi T., Yoneda M., Tokui A., Ikeda M., Kaneshiro Y., Kazuki K.
Parvova I., Taneva V. Ivanova-Todorova E. Kyurkchiev D. Kolarov Z. Hristov E.
Cardiovascular disease in patients with psoriatic arthritis: correlation or causation? 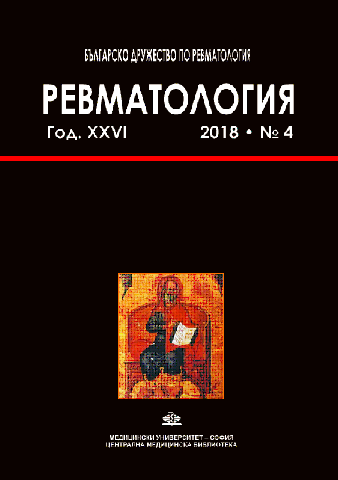 Angelov A., Kopchev A., Georgiev T., Ivanova M.
Boyadzhieva V., Stoilov N., Ivanova M., Stoilov R.
Asipova N. Hristov E. Delyiski T. Parvova I. Yordanov E. Andreevska K. Ognianov S. Burgazliev H.
Bolyarova-Konova T. Stefanov L. Kolarov Z., Emilova R. Tolchkov V. Tanev D. Nikolova M. Christova G.